Red g-string with white text and black lace. Lovely bachelorette party gift idea for the Bride-to-be. Spicy lingerie item for the wedding night or honeymoon. Feel free to get crazy! Unisize for adults. In adorable plastic box in the shape of a heart. 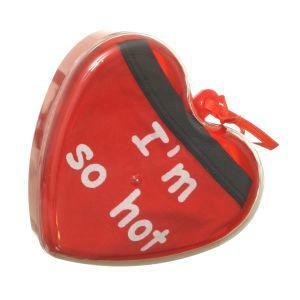 - underwear that reads "I'm so hot"